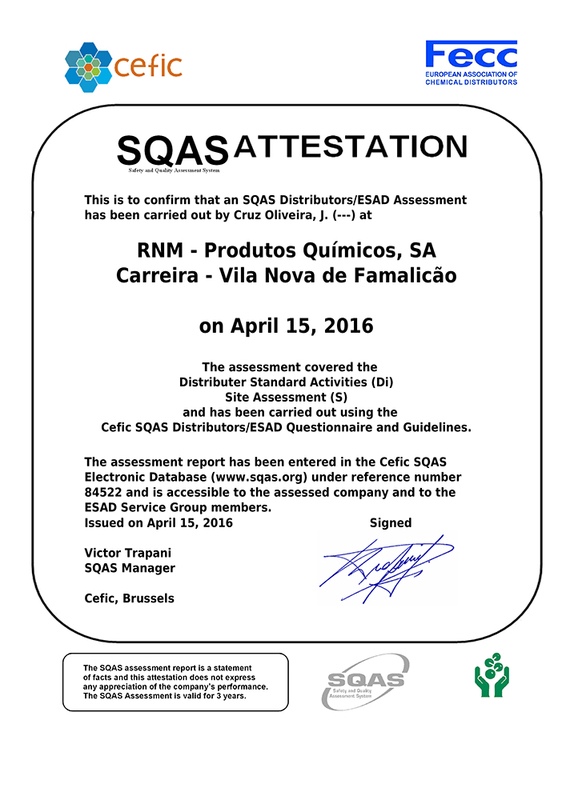 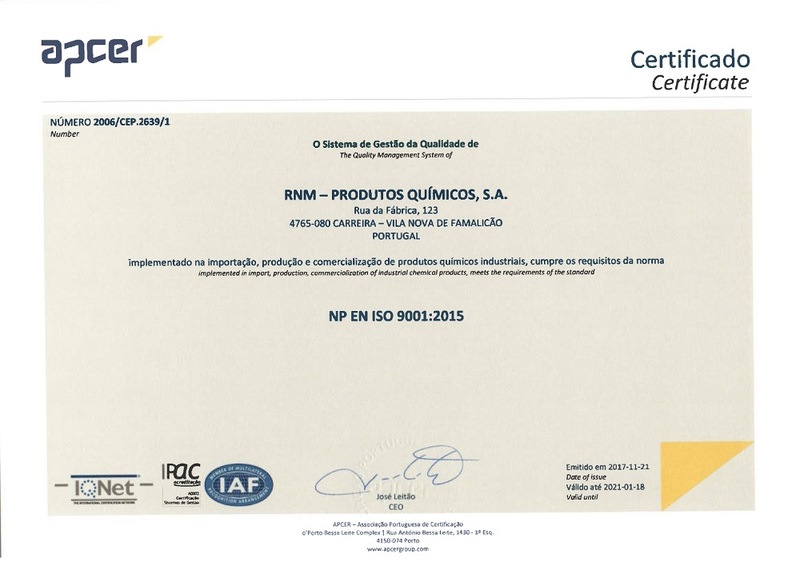 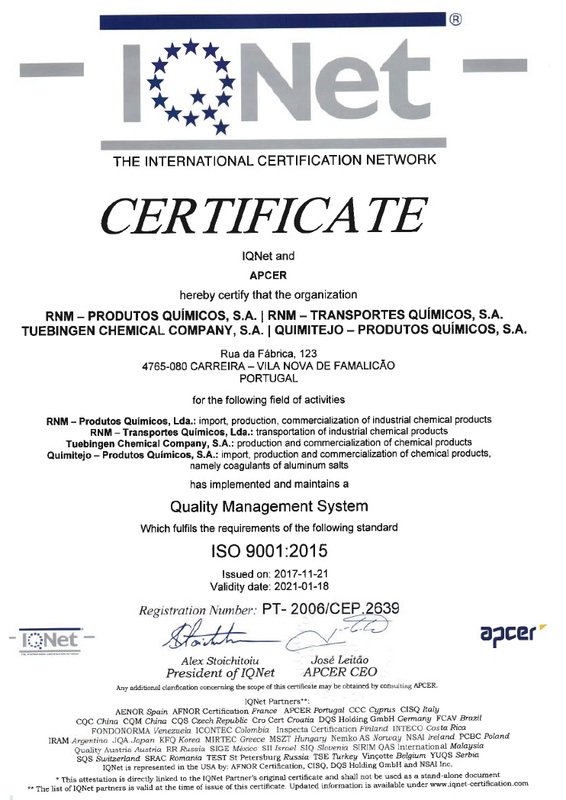 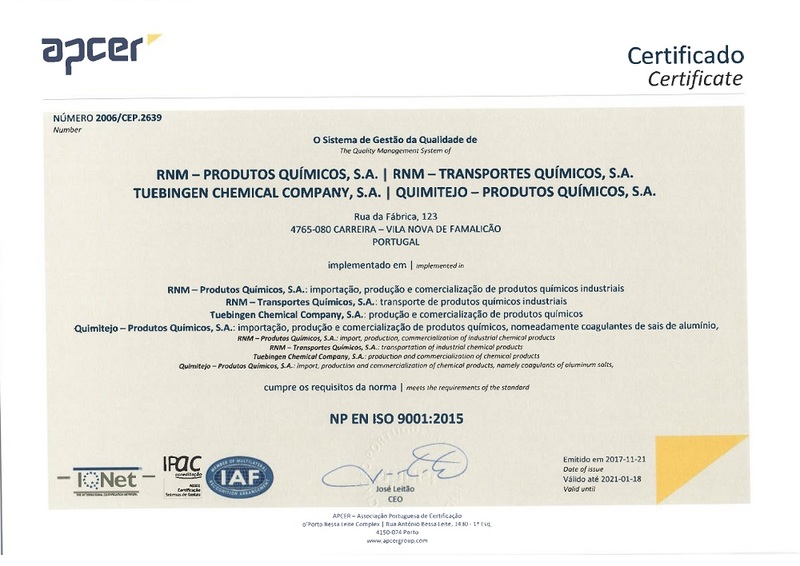 The RNM Produtos Químicos is a company specialized in the production and distribution of chemicals. With integrated solutions at the level of logistics, technical support, storage and transport of chemical products, the orientation for the customer is fundamental vector of your activity. 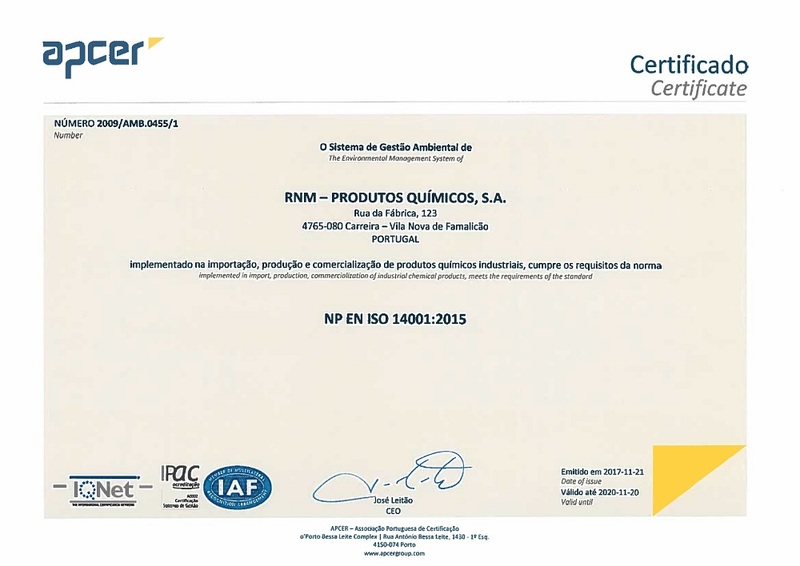 Thus, the RNM Produtos Químicos responds efficiently to the needs of each sector. We are leaders in the national market at the level of chemical solutions adapted to each industrial reality. 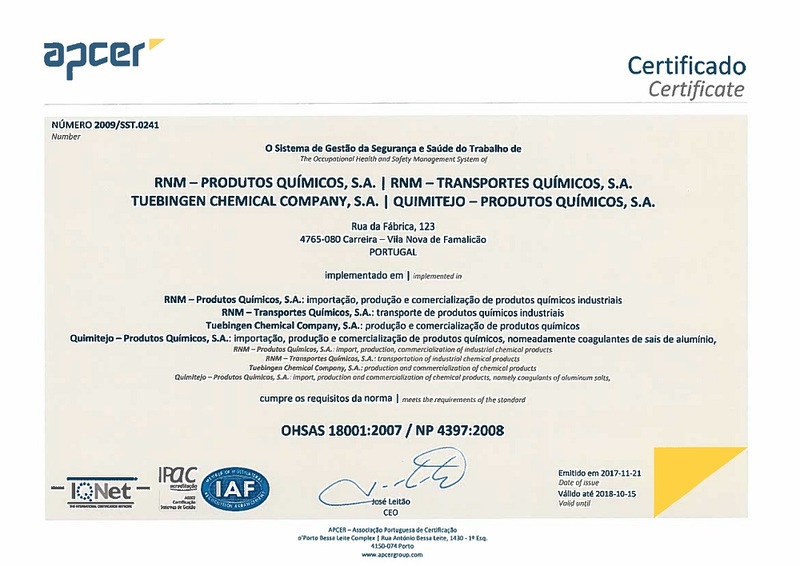 Integrated solutions at the level of inorganic and specialty products that support the industrial activities in a vast universe of business units. 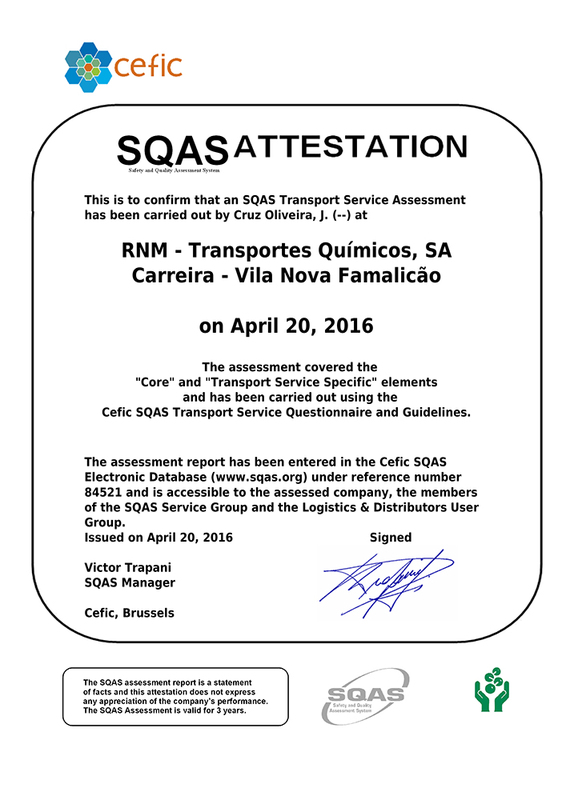 With a strong customer focus, transport, permanent logistics and specialized laboratory, we respond with solutions that fit 360 degrees each context of use. 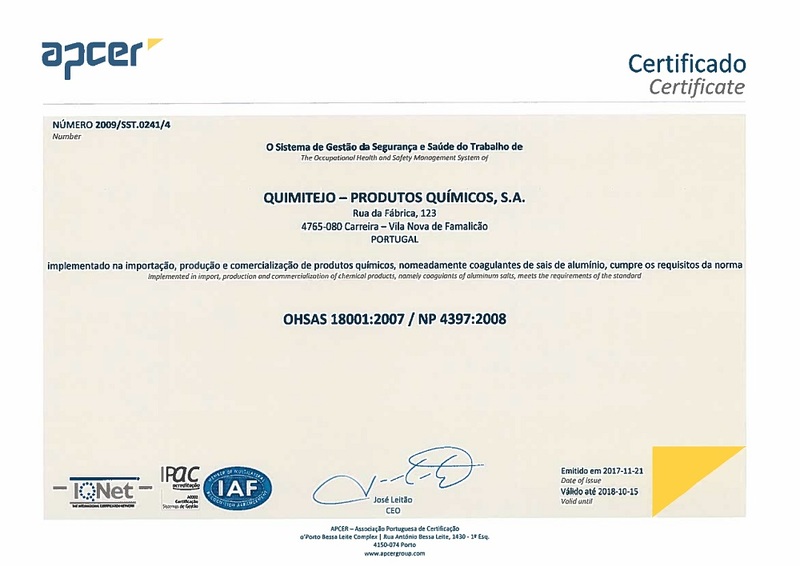 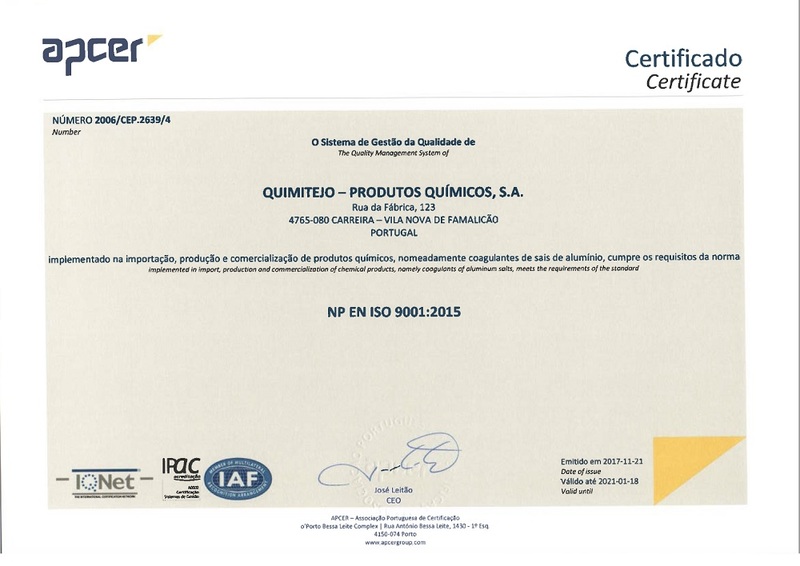 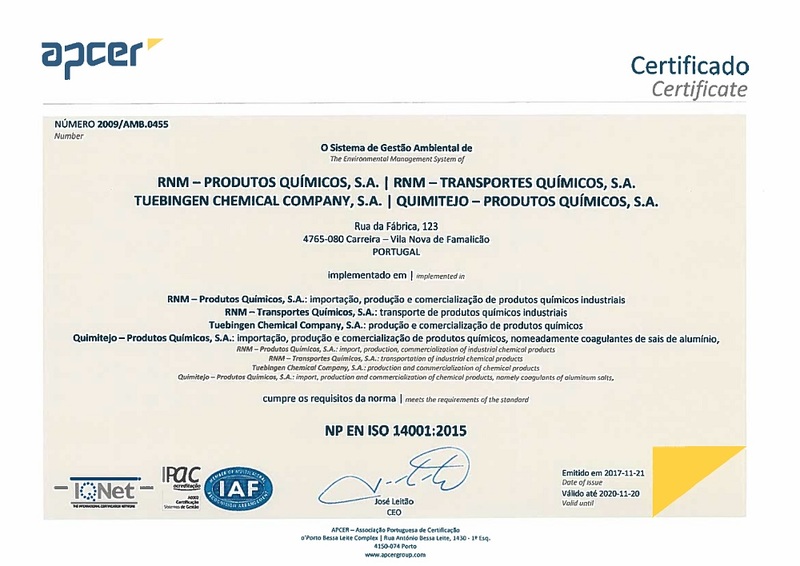 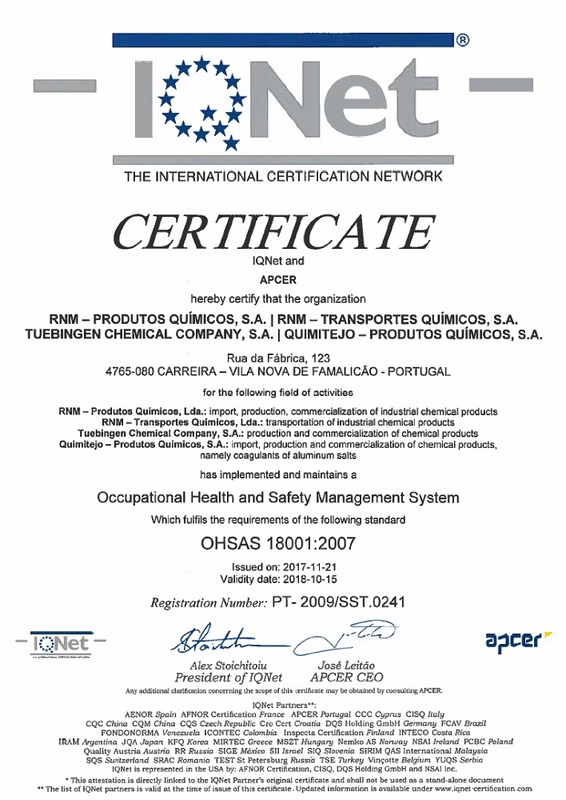 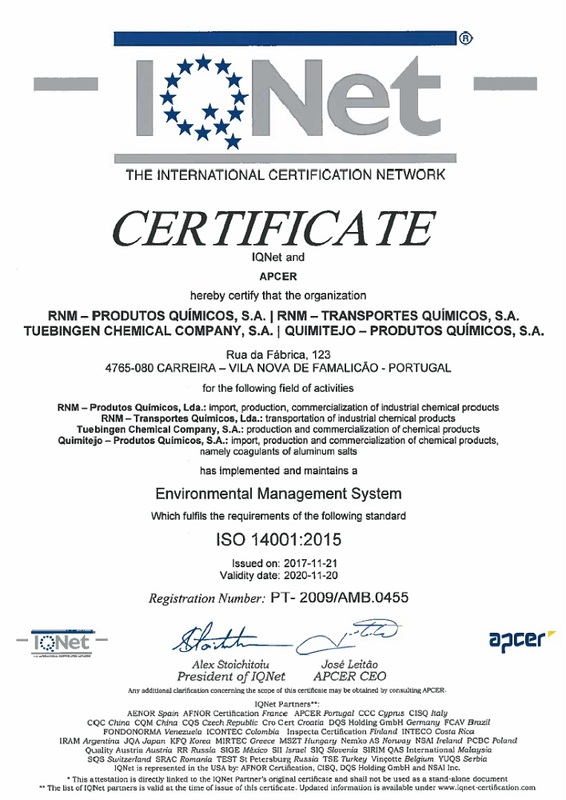 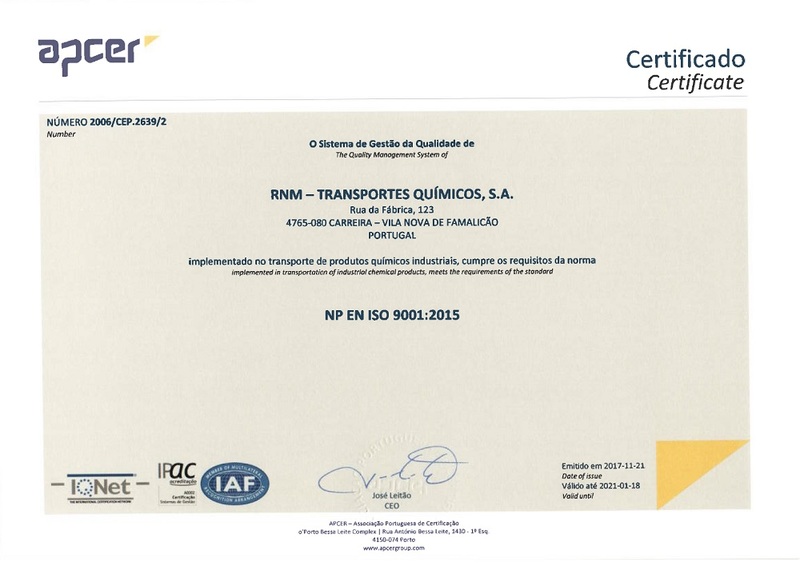 Modern infrastructure certified for the storage of chemicals and silos for bulk liquids in various locations of the Iberian Peninsula.